How can this not be the prayer of everyone except white men in this country? Men assault women with impunity like their president. White nationalists who welcome nazis into their ranks march unhooded to protest immigration of brown people and the removal of white supremacy statues, men called by their president as "very fine". Adults who were brought to this country without documents when they were children, only knowing this country as theirs, fear arrest and deportation, because the current dominant political party, refuses to pity them as the previous administration did. Sexual minorities are summarily dismissed from the armed forces by their president. White men can carry guns in protests and point them at federal agents, but when brown people march or kneel, they are assaulted by civilian forces with military gear or risk their paychecks. Brown people are three times more likely to be killed by police than white people, and justice is never served for their families. When a soldier dies on a secret mission, the president is unable to provide comfort to the grieving widow and the grieving mother, but chooses to mention the soldier knew when he volunteered this could happen. True, but not the time when comfort is needed. Two states and two territories were devastated by hurricanes this year, and the president could only muster some empathy for the two states. I guess their is pity, but only for wealthy white men. 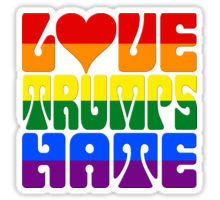 But there is a stronger force in the world than bigotry and hatred...LOVE, because God is love! Matthew 24:12 And because of the increase of lawlessness, the love of many will grow cold. 13 But the one who endures to the end will be saved. 14 And this good news of the kingdom will be proclaimed throughout the world, as a testimony to all the nations; and then the end will come. The end is a good thing because it is the end of the struggle to make known to all this good news of love. By reach, I mean it will change minds. The Bible word for changing minds is "repentance." When we embrace our common humanity, the end of war comes. When we embrace our selfish desires, the end of greed comes. When we embrace our neighbor, no matter what color or creed or orientation, then the end of division comes. Meanwhile, we continue to educate, to legislate, to advocate, to protect those who have been given the cold shoulder of hatred or neglect. This is my hope, which keeps me hoping. 14 from mortals—by your hand, O Lord— from mortals whose portion in life is in this world.